Despite potential interactive effects of plant species and genotypic diversity (SD and GD, respectively) on consumers, studies have usually examined these effects separately. 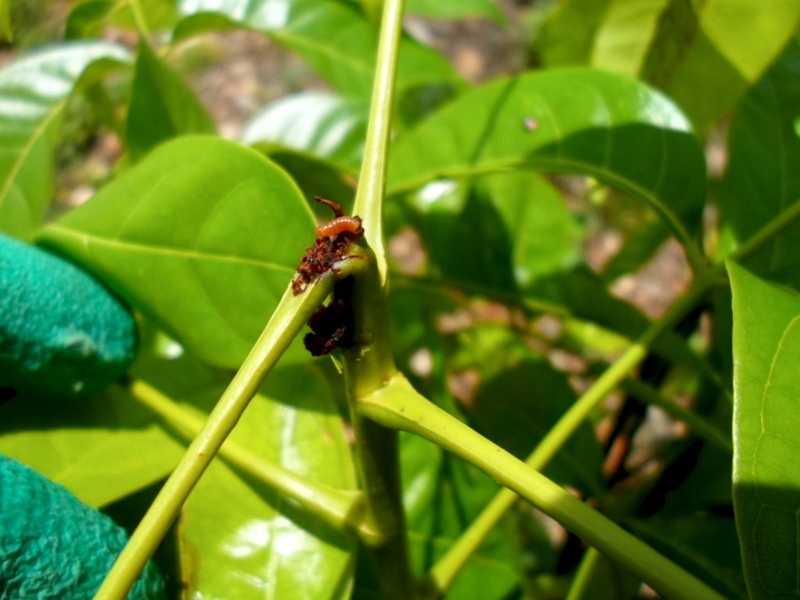 We evaluated the individual and combined effects of tree SD and mahogany (Swietenia macrophylla) GD on the arthropod community associated with mahogany. We conducted this study within the context of a tree diversity experiment consisting of 74 plots with 64 saplings/plot. 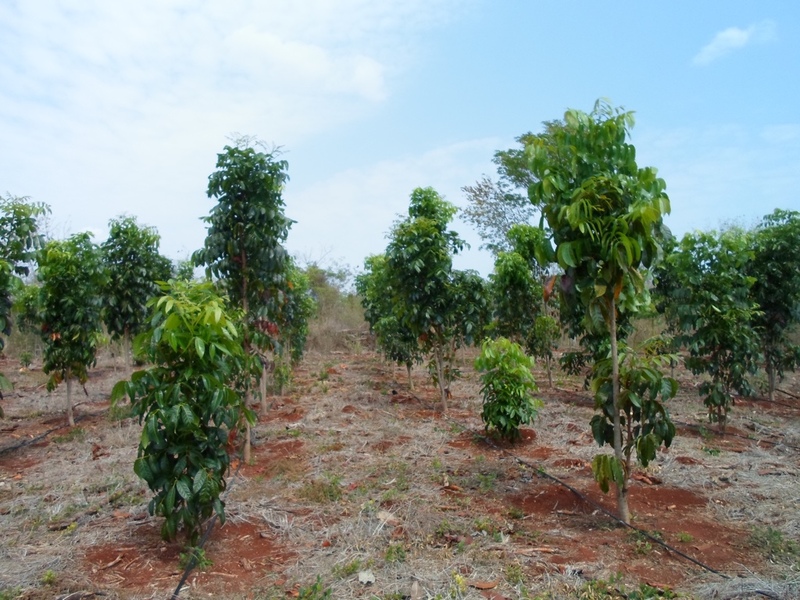 We sampled 24 of these plots, classified as monocultures of mahogany or polycultures of four species (including mahogany). Within each plot type, mahogany was represented by either one or four maternal families. 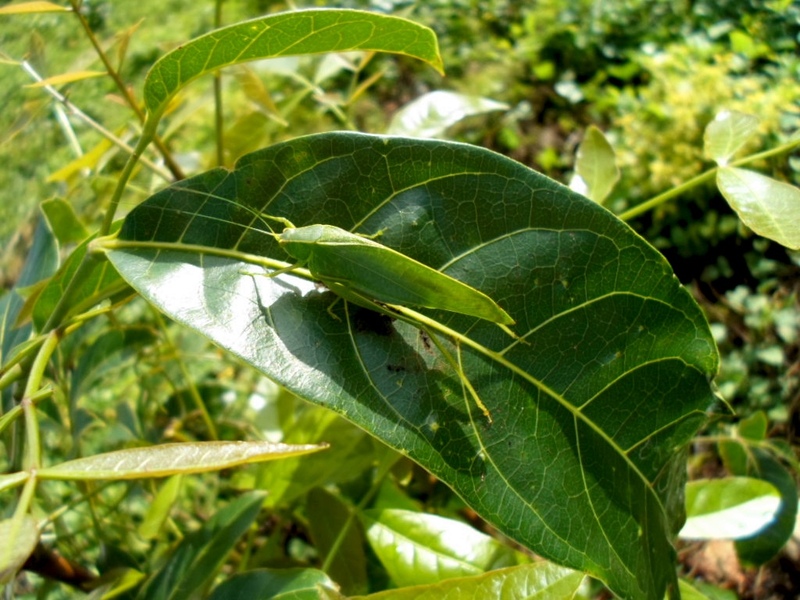 We surveyed arthropods on mahogany and estimated total arthropod abundance and species richness, as well as abundance and richness separately for herbivorous and predatory arthropods. Overall tree SD and mahogany GD had positive effects on total arthropod species richness and abundance on mahogany, and also exerted interactive effects on total species richness (but not abundance). Analyses conducted by trophic level group showed contrasting patterns; SD positively influenced herbivore species richness but not abundance, and did not affect either predator richness or abundance. GD influenced predator species richness but not abundance, and did not influence herbivore abundance or richness. There were interactive effects of GD and SD only for predator species richness. These results provide evidence that intra- and inter-specific plant diversity exert interactive controls on associated consumer communities, and that the relative importance of SD and GD may vary among higher trophic levels, presumably due to differences in the underlying mechanisms or consumer traits. 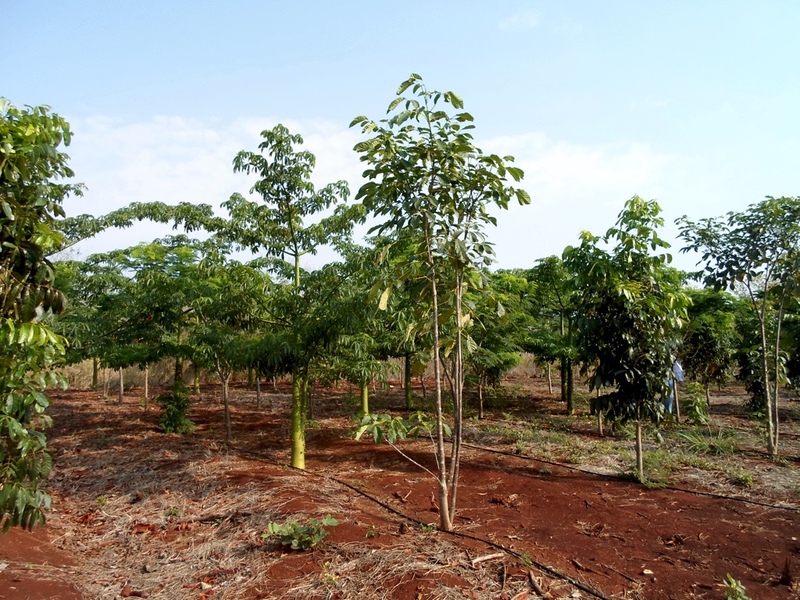 Polyculture plot of Mahogany and other tropical trees (T. rosea, C. pentandra and E. cyclocarpum) used in the experiment (Photo by M.J. Campos). Philophyllia guttulata (Tettigonidae) on the Mahogany (Photo by M.J. Campos). H. grandella larvae on Mahogany (Photo by M.J. Campos). 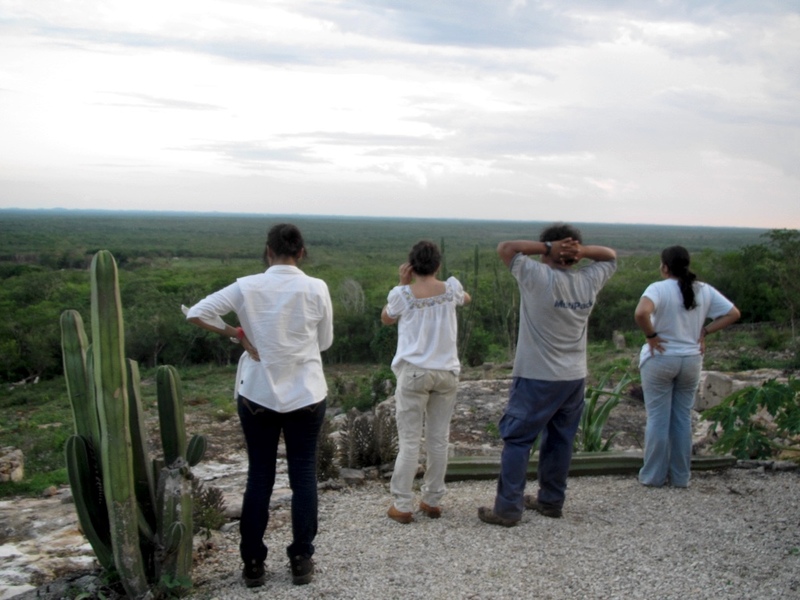 The team after the fieldwork (from left: D. Medellin. M.J. Campos-Navarrete, N. Salinas and P. Tellez) (Photo by T. Quijano).